Accomplished serial entrepreneur and Google alum joins the board of directors at Oblong Industries, and adds to our goal of expanding human capability and collective cognition. We are pleased to announce that accomplished serial entrepreneur Jim Marggraff has joined our board of directors. The addition coincides with the successful extension of our Mezzanine™ product family for content-rich teamwork, and the announcement of deeper software integrations with popular enterprise collaboration platforms such as Cisco Webex Teams, IBM Watson Workspace, and Slack. 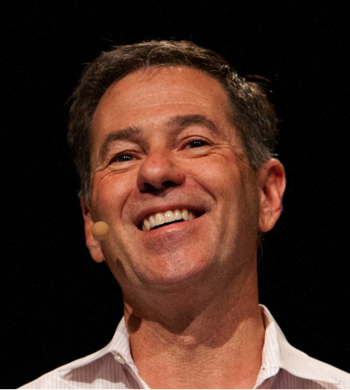 Jim Marggraff is an accomplished technologist, entrepreneur, and advocate for human excellence. His interests lie in evoking the best of humanity with AI, which is clear in his current roles advising Rival Theory, the world’s first AI relationship network, and Foresight AI, empowering mobile robots with data and intelligence. Jim’s contribution to Oblong builds upon several decades of corporate leadership as a founder/co-founder of StrataCom (acquired by Cisco in 1996 for $4B), Eyefluence (acquired by Google in 2016), and Livescribe (the world’s first smart pen). Jim is also noted for his work at Leapfrog, where he invented the renowned LeapPad Learning System with $1B+ in sales and impact on more than 100M children and adults globally. Jim is a celebrated member of his community, active Rotarian, E&Y Entrepreneur of the Year (Northern California, 2011), MIT Top 150 Inventor, author of “How to Raise a Founder with Heart” (Sept. 2018), prolific inventor with dozens of patents issued, and an advisor to academic institutions and non-profit foundations. Foundry Group managing director Brad Feld, an Oblong board member since the company's first financing, adds, "Jim's pursuit of technologies which maximize how human brains can be more effective in working together will be a tremendous asset for us." Customers choosing our products for their meeting rooms, briefing centers, and global teaming spaces range from IBM to Accenture, NASA to Network Rail, Lendlease to Lockheed Martin. Interested in learning more about what we can do for your organization? Get in touch. We’ve deployed collaboration products and custom solutions on every continent except Antarctica.